Which political philosophy for 2011 ? 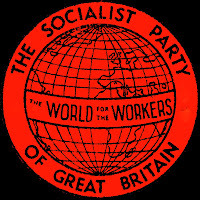 The view held by the SPGB, that socialism can only be established when a large majority of the working class understand it, is constantly being attacked. The attack comes not from capitalists but mainly from supporters of the Labour Party, the Communists, and the "left-wing" militants. All without exception question the ability of the working class to understand socialism. Having satisfied themselves that the task is impossible, they then proceed to matters of the moment, which putting it in a nutshell really means how to create a social environment where the working class will live happy and content under capitalism. That is their objective, although they deny it, because they can have no other. If left-wing parties refuse to take up the revolutionary position which aims at the abolition of the wages system and the conversion of state and private property into common property, then they remain parties of capitalism not withstanding that they claim to oppose it. We have often been told that the real problem is the lack of unity of the working-class movement. What we are not told is what basis there can be for unity. Are socialists supposed to unite with those who want to reform and -administer capitalism, like the Labour and Communist Parties? Or do we unite with those who claim socialism can be established by a well meaning leadership without a class-conscious working class? Do we unite with those who see socialism as a system based on state control and state ownership of industry: and lastly, do we unite with those who refuse to recognize the parliamentary road to socialism? If there is no common ground upon which agreement can be reached then there can be no unity. socialists are always prepared to unite for socialism. The rest of the parties are like the King in Hamlet: "Their words fly up but their thoughts remain below, and words without thoughts never to heaven go." It is not the wish of the SPGB to be separate for the sake of being so. The position is that we cannot be a popular reform party attempting to mop up immediate problems, and revolutionary at the same time. We cannot have a half-way house; nor can we accommodate the more timid members of our class who abhor what they describe as "extreme" policies, and spend their time looking for compromises. The socialist case is so fundamentally different, involving as it does the literal transformation of society, that we must expect mental resistance before socialist ideas have finally become consolidated in the mind. However, lying behind the propaganda of the socialists are the social and economic conditions of a class society which weigh heavily on the working class. Unemployment, threats of war, insecurity and poverty are ever present. These are the incentive to socialism. We are not dealing with the purely philosophical question of whether workers can take socialism or leave it. If workers do not accept the need to establish a revolutionary system of production based on democratic control and common ownership, there is no other way open to them to achieve their release from capitalism. It is all or nothing. The master-and-servant mentality is imbued in the worker. While he starts and finishes his active life as a wage slave, ideas are spoon-fed to him by the propaganda machine of the capitalist. Left-wing propaganda offering leadership adds to the impression that he is an inferior being who is incapable of thinking, organizing and acting. The proposition that the workers, who undertake the entire responsibility for the running of the present vast complex social system from the productive to the administrative level, are incapable of understanding the simple facts of socialism is untenable. It isn't the capacity to understand which is lacking, but the comparative dearth of socialist ideas and propaganda. socialism depends on working-class understanding in the same way as capitalism depends on working-class acquiescence and support. It cannot be brought about through crises or the collapse theory, war, or other catastrophe. The capitalist class can do little to prevent the spread of socialist ideas, regardless that they control organs of propaganda. They cannot stop or suspend the class struggle, or interrupt the general motion of history. The materialist conception of history has the same significance for society as the law of gravity has for physical science. It lays down that struggles on the political field are the expression of class conflicts which emerge in the final form between workers and capitalists, or between capital and labour. When men become conscious of the need to change from capitalist society to socialism we will move forward into a higher social era. The conditions are ripe and the revolutionary route well signposted. The job of the socialist is to speed the process, and not the impossible task of trying to, make wage slavery more palatable. The reformers have had their day and there is nothing to show for it. The prospect of socialism is the only progressive philosophy, because men will adjust for the first time in history, to a new social environment which they will have created for themselves. Only then will we see the spread of social culture emerging from a society which produces for use instead of profit. 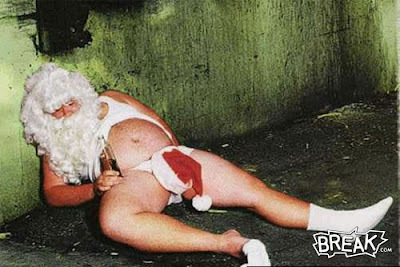 "Let us be lazy in everything, except in loving and drinking, except in being lazy." 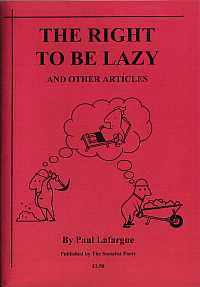 So began Paul Lafargue (quoting Gotthold Ephraim Lessing) in his 1883 critique of the capitalist work ethic - 'The Right to be Lazy'. Lafargue realised that an alternative to the drudgery and grind of wage slavery had become a real possibility. Under a system common ownership and democratic control, people would be free to choose how they worked and how they consumed; instead of toiling to enrich the wealth of a tiny minority. "If a household gets a washing machine, you never hear the family members who used to do the laundry by hand complain that this "puts them out of work." But strangely enough, if a similar development occurs on a broader social scale it is seen as a serious problem — "unemployment" — which can only be solved by inventing more jobs for people to do. Proposals to spread the work around by implementing a slightly shorter work week seem at first sight to address the matter more rationally. But ... the absurdity of 90% of existing jobs is never mentioned. In a sane society, the elimination of all these absurd jobs (not only those that produce or market ridiculous and unnecessary commodities, but the far larger number directly or indirectly involved in promoting and protecting the whole commodity system) would reduce necessary tasks to such a trivial level (probably less than 10 hours per week) that they could easily be taken care of voluntarily and cooperatively, eliminating the need for the whole apparatus of economic incentives and state enforcement." So in 2011 it really is time to exercise the right to be lazy! Focus on one city's inequality . Pasadena officials like to boast about the city’s recent “renaissance,” pointing to the major (and expensive) renovations of City Hall ($117 million) and the Convention Center ($150 million), and the just-approved $152 million facelift for the Rose Bowl. Recently, the City Council voted to allocate its entire $11.1 million allocation of federal stimulus funds to Singpoli Pacifica, a developer, to turn an old building on the corner of Colorado Boulevard and Mentor Avenue into a “boutique” hotel. The developer’s own economic analysis revealed that the average wages for the hotel workers would be $22,000 — below the poverty level. Few of its employees will be able to afford to live in Pasadena on such meager salaries due to the city’s desperate shortage of low-rent housing. 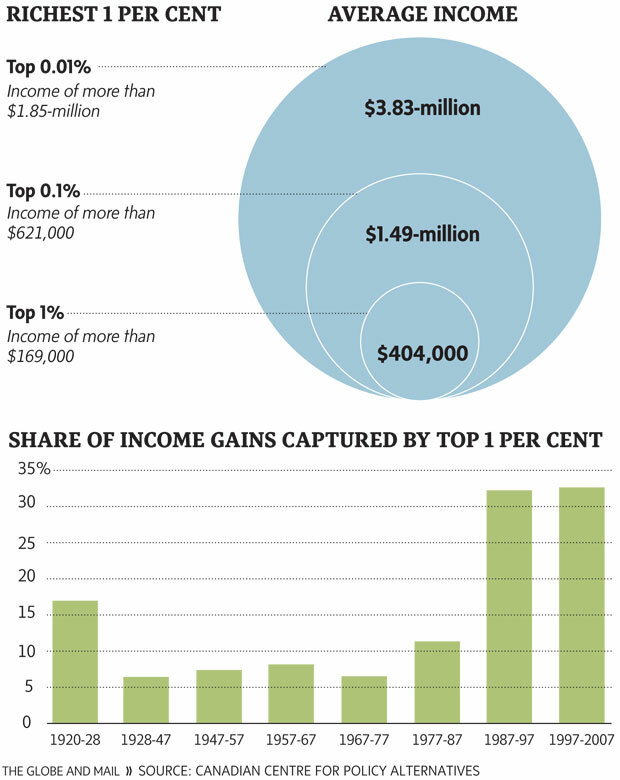 A standard way to measure inequality is to consider the gap between the rich and poor. To do this, we compared the income of households near the top (those at the 95th percentile, where only 5 percent of households have more money) with those near the bottom (those at the 20th percentile, where only 20 percent of households have less money). This way, we avoid measuring the distance between the extremes — the very richest and the very poorest — which may distort the reality. In Pasadena, the income of households near the top ($249,841) is almost 10.8 times greater than the income of those near the bottom ($23,042). Only four of the 37 California cities with more than 140,000 people have a wider rich-poor gap — San Francisco (12.4), Oakland (11.2) Glendale (11), and Los Angeles (10.9). No other cities have a rich-poor gap in double digits. Another way to measure inequality is to look at the concentration of income among the rich — how the economic pie is divided. The richest one-fifth of Pasadena households — those with incomes over $134,296 — has over half (53.2 percent) of the income earned by city residents. On this measure, Pasadena is in a virtual tie with San Francisco for the title of California’s most unequal city. At the very top, the wealthiest 5 percent of Pasadena households — those with household incomes above $249,841 — have almost one-quarter (22.7 percent) of city residents’ total income. Only five cities – Los Angeles (25.9 percent), Glendale (25.8 percent), Rancho Cucamonga (25.2 percent) San Francisco (23.4 percent) and Oakland (23.1 percent) — have a higher concentration of income among the richest 5 percent. In contrast, the poorest one-fifth of Pasadena households — those with incomes below $23,042 — combined have only 2.6 percent of all residents’ income. As Table 2 reveals, only in San Francisco do poor households have a smaller share of citywide income. In Pasadena, those in the next poorest one-fifth — those with household incomes between $23,043 and $45,174 — bring home only 7.6 percent of residents’ incomes. Together, the poorest 40 percent of Pasadena’s households have only 10.2 percent of Pasadenans’ total income. Over the past decade, gentrification has exacerbated the gap between the rich and the rest. Pasadena’s median household income increased from $46,012 in 1999 to $61,298 in 2009 — a significant 33 percent boost. During that same period, the city’s poverty rate fell from 15.9 percent to 14.1 percent. But this jump in income, and decline in poverty, is not because Pasadena’s existing residents got big pay raises from generous employers or otherwise lifted themselves out of poverty. It is because the people moving to Pasadena are increasingly those with high incomes, while those with low and modest incomes are being pushed out of the city. In other words, the city’s prosperity is not being widely shared, but pitting the affluent against the poor and working class for the city’s scarce housing. Between 1999 and 2009, Pasadena added 5,523 households — a 10.6 percent gain. But the increase was almost entirely among affluent residents. In 2009, 30 percent of Pasadena households had incomes over $100,000, compared with only 24 percent in Los Angeles County. Households with incomes over $200,000 comprised 9 percent of Pasadena households in contrast to 5.6 percent in the county. Since 1999, the number of Pasadena households with incomes above $100,000 increased by 7,046 — a dramatic 69.4 percent gain. During the decade, Pasadena added 2,050 households with incomes between $100,000 and $149,999 (a 38.1 percent increase), 2,779 households with incomes between $150,000 and $199,999 (a 143.7 percent jump), and 2,217 households earning over $200,000 (a 78.2 percent gain). Meanwhile, Pasadena lost 2,420 households with incomes below $50,000 — an 8.8 percent drop. By far the biggest losses were among households earning under $10,000. The number of these households fell from 5,273 to 4,094 — a 22.9 percent decline. None of this should be surprising in light of spiraling rents and house prices, the accelerating conversion of affordable apartments to expensive condominiums, the predominance of new luxury units among the condos approved by city officials and the paucity of affordable housing in Pasadena’s development pipeline. Pasadena is still a city of many renters. More than half (52.7 percent) of the city’s 57,332 units are rental housing and 47.4 percent of Pasadenans rent their homes. But that housing has gotten more and more expensive. Between 2000 and 2009, the number of Pasadena apartments with rents over $1,000 a month jumped from 33 percent of all apartments to 68 percent of all apartments. The number of apartments with rents over $1,500 jumped from 6 percent to 33 percent of all units. The shortage of affordable housing in Pasadena puts a real squeeze on family incomes. (The rule-of-thumb is that families shouldn’t have to spend more than 30 percent of income for housing). But in Pasadena, more than half (51.2 percent) of the city’s 30,241 renter households spend more than that, just to put a roof over their heads. It probably isn’t surprising that among the very poor — households earning below $10,000 — 74.7 percent pay more than 30 percent of their income for housing. But 84.9 percent of households with incomes between $10,000 and $19,999, 76.3 percent of families earning between $20,000 and $34,999, and 69.9 percent of households with incomes between $35,000 and $49,999 pay more than 30 percent of family budgets for housing. This rent-to-income squeeze not only places a burden on many Pasadena families, it also hurts the local business community. When families spend so much of their incomes on housing, they have less to spend on food, clothing, dry cleaning, movies and other goods and services, which hurts local businesses. It also makes it more difficult for local employers to find employees who live in the city. Long commutes into Pasadena exacerbate traffic congestion and pollution. The reality is that the poor and working-class families are being pushed out of the city by rising housing costs. This is a major reason for the decline in enrollment in Pasadena Unified School District (PUSD) schools. Most of the students who have left the district are those who live in areas with many low-income families and mostly rental housing. PUSD’s declining enrollment and budget woes are due in large part to the displacement of the poor, not the flight of the middle class. Michelle Mitchell, Charity Director of Age UK, which launched its 'Spread the Warmth' campaign this winter: "Every winter, millions of older people struggle to survive on a low, fixed income, living in fear of their energy bills and risking their health by cutting back on their heating to keep costs down." In a recent survey, conducted for Age UK, nearly a third of over 60s were likely to resort to extreme measures to keep warm, including wearing a coat and scarf inside. Fourteen percent lived in one room. With nearly 14 million over-60s in the UK, that is around 1.5m choosing to live in one room to contain heat. Four percent said they would stay in bed all day to try to keep warm, while 9% percent said they could not get warm at home last winter. Age UK is concerned that many more older people are stuck in fuel poverty - well over three million of them spending more than a tenth of their income on their energy bills. But government estimates indicate that up to 1.7m pensioners do not claim Pension Credit despite being entitled to it. These people could also be missing out on cold weather payments of £25 a week when it is particularly cold. In parts of the UK like Scotland, where CWPs are likely to be triggered three or four times a year, some pensioners could be missing out on up to £100 worth of payments over the winter. The misconception that fuel poverty only affects the elderly is a prevalent one, but government statistics reveal a wide range of groups in society that could be affected by the pressure of managing high energy prices. Although the Warm Home Discount focuses mainly on making sufficient provisions for pensioners, it's not just the elderly that are adversely affected by fuel poverty. Children are also at risk of serious health problems if left in a poorly heated home - the potential for breathing problems twice as likely in homes without affordable heating - whilst infants in homes in need of but not receiving subsidised heating were 29% more likely to be underweight due to using more energy to keep warm. Those who are disabled or ill on a long-term basis are also vulnerable; because they are likely to spend more time indoors, they may require increased levels of heating, and will be more susceptible to the lack thereof. It is the lowest income families that make up a significant proportion of fuel poverty - 60% of households with an annual salary less than £12,000 are fuel poor, and 77% of the lowest income sectors in the country were fuel poor at the last count. You are also more likely to be fuel poor if you live in a rural area compared to an urban area. 25% of rural households were fuel poor, according to government findings, compared to just 15% of their urban equivalents. Currently, a household is defined as living in fuel poverty if it spends more than 10% of its income on energy bills. The government has agreed a statutory aim of eradicating fuel poverty in the UK, Northern Ireland and Scotland by 2016, and Wales by 2018, leaving little over 9 years for the targets to be met. The number of households that are classified as fuel poor has increased year on year since 2003 and looks set to continue to rise to over 4 million UK homes by 2011. National Energy Action (NEA), has been campaigning against the current classifications. "The definition of fuel poverty used by government for target-setting already serves to underestimate the number of fuel-poor households." Currently, the fuel poverty numbers relate to 10% of a household's total income, including benefits, which can grossly inflate the actual income the household will actually see. For instance, if a household receives housing benefits, this will be included in their total income, and the higher the rent, the higher the benefits, the larger the income analysed. However, this may have little to no relevance to the actual wealth of the couple, or how much they can afford to spend on their heating. Many organisations, such as the NEA, say this definition isn't sufficient and is leaving out thousands of susceptible households. Fuel poverty should be calculated on the disposable income a household earns, it argues, which gives a fairer and more accurate figure of relative wealth and poverty: "...'Full income' classes housing subsidies (Housing Benefit and Income Support for Mortgage Interest) as part of the family resources whilst 'Basic income' excludes any such subsidy.Clearly the use of 'Full income' in assessing fuel poverty minimises the scale of the problem since it artificially inflates financial resources but adds nothing to disposable income," said the NEA. A first-time buyer would have to save for more than 17 years to afford the average deposit on a home, research by Halifax has revealed. The report from Halifax shows that the average first-time buyer has to find a deposit of almost £29,000 to buy a house - nearly three times more than 10 years ago, despite falling house prices. A decade ago, the average deposit was £9,865, the mortgage lender said. Figures from the Office for National Statistics show the average worker in their twenties with a full-time job earns just under £21,000. Saving 10% of their take-home pay every month would be equal to putting aside £136.Despite their painstaking prudence, it would take 17 years and six months before they had saved enough for the average deposit. The calculation assumes they earn no interest on the money, but this is not impossible with savings rates as low as 0.01%. The cost of a typical property bought by a first-time buyer has risen to £138,682, about 6.6 times the annual salary of an average fulltime worker in their twenties. A decade ago, the same property would have cost just £68,644, which means it has shot up by about £135 every week over the past ten years. As a result, more than 80% of under-30s are relying on their parents to help them buy their first home. Their parents give or lend the money, but millions less fortunate are not able to call upon the so-called 'Bank of Mum and Dad'. This means that homebuying has become a club only the rich, the well-paid or those with generous parents can afford to join. A typical first-time buyer is 29 and puts down a deposit worth 21% of the purchase price. But excluding those helped by parents, the average age rises to 36. For young people in London, the situation is even more acute because the average deposit is twice as large as for the rest of the country. In Greater London, the most expensive region, new buyers must find £56,259 to secure a mortgage. Almost one in four first-time buyers in London faced the additional burden of stamp duty, the threshold of which was temporarily raised in 2010 to £250,000 for new owners. Socialism Or Your Money Back previous reported on the Freeters here. Who are the “freeters” or workers hired into temporary jobs? Now in Japan , more than one-third of the workforce is part-time as companies have shed the famed Japanese lifetime employment system, nudged along by government legislation that abolished restrictions on flexible hiring a few years ago. Temp agencies have expanded to fill the need for contract jobs as permanent job opportunities have dwindled. Some of them can work for the same company for a very long time, but they are not only paid less, but are also not in the hierarchy of permanent worker. Many become freeters right out of college, and are never able to get back on track with their peers, since companies in Japan, as in the US, prefer to hire new college or professional school graduates into their entry level positions. The bigger implications for Japan are negative. Many freeters can’t afford to live by themselves, and therefore become “parasite singles” staying with their parents. The delay in or inability to support oneself further suppresses Japan’s birthrate, worsening its demographic crisis. And it exerts a psychological toll, particularly in Japan, which places particular importance on group ties. Freeters ”who have no children, no dreams, hope or job skills could become a major burden on society, as they contribute to the decline in the birthrate and in social insurance contributions,” Masahiro Yamada, a sociology professor. "This year, companies have hired temporary workers in significant numbers. In November, they accounted for 80 percent of the 50,000 jobs added by private sector employers, according to the Labor Department. Since the beginning of the year, employers have added a net 307,000 temporary workers, more than a quarter of the 1.17 million private sector jobs added in total… To the more than 15 million people who are still out of work, those with temporary jobs are lucky. With concerns mounting that the long-term unemployed are becoming increasingly unemployable, those in temporary jobs are at least maintaining ties to the working world. The competition for them can often be as fierce as for permanent openings, and there are still far too few of them to go around. Indeed, the relative strength in temporary hiring has done little to dent the stubbornly high unemployment rate, which rose to 9.8 percent in November... This year, 26.2 percent of all jobs added by private sector employers were temporary positions. In the comparable period after the recession of the early 1990s, only 10.9 percent of the private sector jobs added were temporary, and after the downturn earlier this decade, just 7.1 percent were temporary..."
As the New York Times report indicates, the rise of temps in the US instead appears to be happening across a broad swathe of jobs, meaning everyone who loses a job is at risk of never finding a job again. Of course, with job tenures shrinking, the distinction between having a full time job versus a temporary one may seem to be overblown. But traditional jobs also include real perks, such as benefits, and also usually terminated less casually than temporary positions. the long term implications of this trend are not good: employers providing lower-quality employment;, workers attaining less in the way of skills, which puts them on a permanently weaker career path; the resulting lower income workers less able to build up economic reserves in an era of weakening safety nets. With far fewer social inhibitions against turning employees into temps, we can expect to see an even further hollowing out of the US economy. "With temporary workers," says Joel Mathis at Cup O' Joel, "they get all the production--but without the same levels of pay, and certainly without having to pay so much for benefits"
Between 3.5 million and 5.5 million Americans work in the telephony industry, a loose estimate made more difficult by the industry’s high turnover rate. Their desire for low-paying, previously outsourced customer service work speaks volumes about Georgia’s economy, the future of employment in the United States. With double-digit unemployment bedeviling Georgia’s economy and prospects dim for a surge in well-paying jobs in 2011, job seekers embrace customer service jobs. And, unlike most industries sundered by the recession, the telemarketing/customer care industry has blossomed across Georgia. In 1998, for example, 72.8 percent of Americans worked in the service industry. By 2018, that will be 78.8 percent of the workforce. 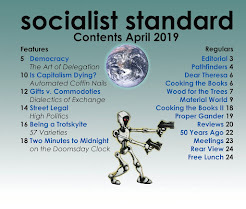 The term ‘socialist’ is found for the first time in the Owenite Co-operative Magazine of November 1827 and debate is taking place today on the World Socialist Movement's discussion forum concerning the utopian socialist Robert Owen. You can find one recent essay about him here along with a review of Edward Royle's Robert Owen and the Commencement of the Millennium, labour time vouchers and even Socialist Party Conference resolutions (1989-2007) relating to the Co-operative movement. Below is an essay published in the Socialist Standard of May 1971, the bicentenary of Owen's birth. IN THE SAVAGE WORLD that was the Britain of the Industrial Revolution, when Blake's dark satanic mills were a reality, and not just a sentimental romantic conclusion to the last night of the Proms, one figure stands out - Robert Owen. Born 200 years ago on 17 May, Owen had a career that would have been phenomenal in any age, but that he should have had this in the eighteenth and nineteenth centuries makes his story even more remarkable. Owen was born in Newtown, Montgomeryshire, the fourth surviving child of a saddlemaker and ironmonger. Very little is known of his early family life, and this is not surprising for he left home at the age of ten. We do, however, know that he attended a school run by a Mr. Thickness where he excelled at "games, dancing and lessons", so much so that at the age of seven Mr. Thickness "applied to my father for permission that I should become his assistant and usher, as from that time I was called while I remained in school". "My reason taught me that I could not have made one of my own qualities, - that they were forced up on me by nature; - that my language, religion and habits were forced upon me by society; and that I was entirely the child of Nature and Society; - that Nature gave the qualities, and Society directed them. Thus was I forced, through seeing the error of their foundation, to abandon all belief in every religion which had been taught to Man. But my religious feelings were immediately replaced by the spirit of universal charity." After returning to London, where he stayed for another year, Owen moved to Manchester which was to be his home, more or less continuously for the next fourteen years, and was to see the start of his industrial career. He went to work as a manager of a cotton factory employing 500 men, women and children: "When I arrived at the mill", Owen tells us, "I found myself at once in the midst of 500 men, women and children, who were busily occupied with machinery, much of which I had never seen before." Besides being expected to superintend those 500 at work, he found that he was responsible for buying their raw material, for increasing production, and for keeping the accounts, in fact everything except the marketing of the finished product. So over-awed was he at first that "I did not give one direct order about anything", he said. However, after six weeks ot watching, listening and carefully studying the working of the machines his old confidence returned, and "I felt myself so much the master of my position as to be ready to give direction in any department." At this time Owen married Caroline, the eldest daughter of David Dale, the owner of the New Lanark Mills. Owen eventually became the manager of these mills and devoted the next twenty years to reorganising the community of two thousand workers on strikingly original lines. To fully appreciate his efforts at this time one must understand the sufferings of the workers in the early nineteenth century; hours were long, pay at starvation level, and housing grim beyond belief. But the evil that stands out above all was the treatment of small children, treatment which called forth the jibe from American slave owners that their slaves were better off than the children in the cotton mills of Lancashire. Owen not only favoured a limitation of the working day in theory, but actually introduced the ten hour day in his factory. As Marx points out, this was laughed at as a communistic Utopia, so were his "Combination of children's education with productive labour". The first Utopia was soon to become a Factory Act, and the second figures as an official phrase in all Factory Acts. Combined with this reduction of working hours, Owen improved housing, opened a shop in which good quality goods were sold at relatively low prices, and started schools and day-nurseries. He was not concerned to use education to inculcate beliefs or theories, nor with happenings conceived in an abstract way, but sought to educate children as human beings capable of applying their reason to nature and society and of enjoying all aspects of life. In New Lanark these ideas were translated into practice. Though at first restricted by his partners, who intended to build up a profitable enterprise, Owen had put an end to the practice of employing pauper children and had withdrawn all children under ten from work. Later he was able to limit the hours of adults to twelve and then to proceed with his plans for education and improvement of home life and surraundings of the younger generation. "As long as he was simply a philanthropist he was rewarded with nothing but wealth, applause, honour and glory. He was the most popular man in Europe. Not only men of his own class, but states men and princes listened to him approvingly. But when he stepped forth with his communistic theories, then that was quite another matter." Throughout the 1820's Owen turned to the formation of co-operative villages, same of which were already being run on Owenite lines in Scotland, Ireland and Hampshire. He himself set up such a community in America, but the project failed, with four-fifths of his entire fortune being lost in the venture. Following the failure of the co-operative villages he entered into the trade union field, and his road to the New Moral World he now saw through the organisation of the Grand National Consolidated Trade Union, which within a few weeks of its formation in 1834 had enrolled more than one million members. This too collapsed in 1834, following the deportation of the Tolpuddle Martyrs, and Owen continuously fought for their return to England. ". . . although Co-operators pay tribute to him as the founder of their system, it is more than doubtful whether Owen, if he could revisit the earth, would recognise his progeny, or take more than a pass ing interest in its growth." How then should we regard Owen in this bicentennial years of his birth? First and foremost he must be judged within the context of his time. He was an early advocate in this country of town planning and of a green belt; in education he was quick to demand, and to set up, nursery schools; and to recognise the function of play in education and to suggest that teachers should be trained, if necessary by the state. He told his fellow employers, in an age of a scramble for profits and pared costs which we call the Industrial Revolution, that the human machines they used in their factories wouid repay careful treatment and upkeep as much as did the inanimate machines, and he appreciated the need for economic planning. Long before Henry Ford was born, Owen preached "the economy of high wages" to a master class which had yet to realise the possibilities of a home-market among the lowly paid. He declared, ninety years before Beatrice Webb produced her Minority Report on the Poor Laws, that relief of destitution ought to be a charge on the resources of a state, and in an age when people were still being hanged or deported for petty theft he denounced the retributive theory of punishment. Such acclaim may seem surprising when one considers that so many of his projects failed, but it should be remembered that Owen did not intend his ideas to be a universal panacea for all social ills, but only a first step towards a far more radical transformation of society. More than a million school children in the UK still lack access to a computer at home. And almost 2m are unable to go online at home. Those from the poorest families are two-and-a-half-times less likely to have the internet at home than children from the richest homes. The E-Learning Foundation found that while computer access is growing in better-off households, those from low income families are being left behind. It is warning that many of the UK's poorest children face being severely educationally disadvantaged by their lack of access to technology as a result. In November more than half of teachers who took part in a survey for the Times Education Supplement said pupils without access to internet or a computer at home were hampered in their learning. The foundation's chief executive, Valerie Thompson, said: "With so many children swamped with gifts from family and friends over the Christmas period it is important we reflect on the fact that millions of children live in poverty in this country... Without the use of a computer and the ability to go online at home the attainment gap that characterises children from low income families is simply going to get worse." In 1977, an elite chief executive working at one of America’s top 100 companies earned about 50 times the wage of its average worker. Three decades later, the nation’s best-paid C.E.O.’s made about 1,100 times the pay of a worker on the production line. Since 1980, the weekly wage of the average worker on the factory floor has increased little more than 3 percent, after inflation. Since 1980, the share of income accruing to the richest 1 percent of the population jumped to 36 percent from 22 percent. One study concluded that each percentage-point increase in the share of national income channeled to the top 10 percent of Americans since 1960 led to an increase of 0.12 percentage points in the annual rate of economic growth — hardly an enormous boost. According to the Organization for Economic Cooperation and Development, the average earnings of the richest 10 percent of Americans are 16 times those for the 10 percent at the bottom of the pile. Americans are less economically mobile than people in other developed countries. There is a 42 percent chance that the son of an American man in the bottom fifth of the income distribution will be stuck in the same economic slot. The gap between rich and poor in the United States is growing ever wider, according to a think-tank study released on Friday. The gap is at its largest since the survey began in 1962, the Economic Policy Institute (EPI) said in its report. The richest 1 per cent of American households have 225 times as much money as the average household, it said. The last survey, conducted in 2007, had revealed that the richest 1 per cent had 181 times as much money as the average household , whereas in the 1960s the figure was 125. A total of 64 people from the Chinese mainland made the Forbes magazine list of the world's richest billionaires, moving up to take second place for the first time. The US led the list, released Wednesday, with 403 billionaires. The Chinese mainland was followed by Russia with 62 billionaires. Of the world's 97 new billionaires, 62 were from Asia. Among the super-rich from the Chinese mainland, 27 made the list for the first time. In addition, 25 people from Hong Kong made it into the billionaires club, while 18 Taiwan people entered the list. More than 10 percent of billionaires on the list came from the Greater China Area, namely the Chinese mainland, Hong Kong, Macau and Taiwan. The total number of billionaires stood at 1,011. That's much higher than the 793 super-rich who made in onto the list last year, but lower than the record number of 1,125 in 2008. Chinese entrepreneur Zong Qinghou, CEO of eastern Hangzhou's Wahaha Group, is the wealthiest person in the Chinese mainland, according to the list. According to Doi song va Phap luat newspaper, in 2010, Chair of Hoang Anh Gia Lai Doan Nguyen Duc is the richest stock millionaire in Vietnam with assets worth 11,500 billion dong. Other businessmen in the top five stock millionaires are Pham Nhat Vuong, the owner of Vincom, (9 trillion dong), Chair of Kinh Bac Group Dang Thanh Tam (4.727 trillion dong), Chair of Hoa Phat Group Tran Dinh Long (3 trillion dong) and Chair of Tan Tao Group Dang Thi Hoang Yen (2.7 trillion dong). The total assets of the 20 top stock millionaires in 2010 are worth 60 trillion dong, an increase of 10 trillion dong over the last year. In 2009, only 13 people had assets worth more than one trillion dong, and now the figure has risen to 19. If calculating the values of stock assets in dollars, Vietnam now has more than 450 stock millionaires. Just take the testimony of 38-year-old defector Choi In Ho (not her real name), who left the North in October 2004. Once the 2002 reforms legalized private trading, she says, shrewd speculators spotted an opening. They reap huge profits by buying up grain at times of plenty and then throwing it back on the market during shortages. Others take advantage of the miserable transport system by quietly commandeering state-owned trucks and using them to bring products to areas where demand is greatest. "Through such trading, some people are becoming richer and richer, while others nearly starve," Choi says. "Because North Korea is a socialist country, everyone is supposed to be equal. In reality, the income gap is growing, and it's making people angry." North Korea has always had a stark social divide. Reports on the lavish lifestyle of the country's ruling elite have trickled out for years. Kim Jong Il's personal sushi chef and pizza cook have regaled readers with accounts of the Dear Leader's rarefied taste in cognac and seafood. Last summer a Japanese TV station caught one of Kim's children following Eric Clapton on concert tour across Europe—the sort of luxury the vast majority of North Koreans could only dream of, assuming that any of them were in a position to learn about it. Earlier this year Kim's elder son, Kim Jong Nam, was apparently persuaded to give up his home in the Chinese territory of Macao when journalists there began trading details of his extravagant partying. Lately, it's said, he's been holed up somewhere on the mainland. And yet something does appear to be changing. Economist Yoon Deok Ryong from the Korean Institute of Economic Policy notes that in the past North Koreans who wanted a better life simply joined the Communist Party, which assured them a certain level of privilege. These days, by contrast, they can achieve the same end by going into business. Hazel Smith, a professor at the University of Warwick in England, says the North Koreans she's surveyed once hoped their children would join the army as a way of getting ahead. Now, she says, the hope is that they'll go into private trade—ideally with a few hundred dollars in capital provided by their parents. North Korea is beginning to register the rise of homegrown business tycoons like Jon Sung Hun, head of Korea Pugang Corp., a conglomerate that exports pharmaceuticals, machinery and minerals in return for consumer and investment goods. Jon is the son of a former North Korean ambassador to China—which shows, among other things, that it still helps to know the right people. Still, says Yoon, the new class of North Korean entrepreneurs can no longer count on the cash-strapped Communist Party to provide them with their livelihoods. Rampant corruption at virtually all levels of the North Korean state ensures that money increasingly trumps ideology—in ways that could potentially threaten the system. "From the standpoint of the state, people in the army and party are getting rich," says Noland. " It is worth noting that the Soviet Union had a class known as the Nomenklatura. Food intended for poor Indian families have been siphoned off and sold locally and abroad in a corruption scandal involving hundreds of local government officials, investigators said. Police and federal agents in India’s northern state of Uttar Pradesh are probing allegations that from 2001 to 2007, millions of tonnes of rice and wheat were diverted to other parts of the country and smuggled across the border to Nepal and Bangladesh. The food was meant to be sold at subsidised rates to households living below the poverty line. The investigation was on-going, but preliminary estimates suggested that around three million tonnes worth of hundreds of millions of dollars was stolen. The Central Bureau of Investigation (CBI) and police say the fraud appears to be “widespread” and “highly organised” involving a huge number of players. “The number of government officials involved in the case may run into the thousands … the majority are junior civil servants but there are senior ones too,” a CBI official said. “Apart from this, the involvement of a large number of transporters, traders, and shop owners is also feared,” he said. The official Transport for London report shows the bike-hire scheme is used mainly by the affluent. The £140M bike-hire scheme is used mostly by rich, middle-aged white men, an official survey has revealed. Six out of ten of those using the blue bikes enjoy an annual income of over £50,000, nine out of ten are white and seven out of ten come from the 25-44 age group. Only 5% of hire-bike users earn less than £20,000, even though 40% of Londoners are in that income bracket. The London Mayor has decided to raise bus fares and reduce bus routes across the capital. Buses are used predominantly by those on lower incomes and disproportionately by old people, children and minority groups. Next year, the price of a single bus journey will go up from £1.20 to £1.30. Together with similar rises for Tube passengers, the new fares are set to bring in £125M, not far off the £140M the hire scheme will cost. SOYMB can imagine in the field of transport that a “right to mobility” is available to everyone by means of a comprehensive and efficient free public transport system and access to free public vehicles. This could involve, in an urban context, a hydrogen-powered automatic transit system, flexible and demand-responsive public vehicles which are a hybrid between buses and taxis , supplemented by a fleet of public self-drive vehicles available without charge when needed for a specific journey or period. Under these circumstances, privately-owned vehicles for the exclusive use of one person or family would not be necessary and the congestion and pollution caused by present-day dependency on private cars for travel avoided. All this would be in the overall context of a society where production would no longer be for sale on a market with a view to profit, but for use so that only good-quality, easy-to-repair products would be made and, as a society geared to serving human welfare, clean environmental practices would be adopted as a matter of course. Onions that sold for Rs 42 per kg on Monday were selling for Rs 70-80 per kg on Wednesday. The Indian government had already banned the export of onions and eliminated an import duty on onions. Onions are an essential ingredient for almost all Indian dishes. Onion prices have more than doubled in the past week. Retail prices of vegetables, such as beans, brinjal, cauliflower, cabbage, tomato and carrot, have shot up by 25 to 60% compared to prices around this time last year. "When prices of onion, tomato, garlic, brinjal and other vegetables go up four-five times, there is not much we can do," says Swati Upadhaya, a homemaker from City Light area. "It seems vegetable has become a commodity for the use of the very rich only," says another homemaker. "We don't know to what to eat. Vegetables have become out of reach, pulses are already highly priced. What do we eat with roti?" asked a daily wage worker, who earns Rs 125 a day and has to manage a family of four. "It seems we have to spend days eating dry rotis or rice with salt," he lamented. A rise in prices of rice, wheat and vegetables pushed India's annual rate of food inflation to 9.46% in the week ended December 4. This was the fourth week in a row when the food price index rose in the country, according to data released on Thursday. The food inflation was at 8.69% in the previous week. There were more than 10 million low-income working families in the United States, an increase of nearly a quarter million from the previous year. Between 2007 and 2009, the share of working families who are low-income—earning less than 200 percent of the official poverty threshold—increased from 28 percent to 30 percent. This now means that nearly 1 in 3 working families in the United States, despite their hard work, are struggling to meet basic needs. “When the recession hit, many working families joined the ranks of the unemployed or dropped out of the workforce altogether. Others continued to work but saw their incomes drop as businesses tightened their belts." Forty-five million people, including 22 million children, lived in low-income working families, an increase of 1.7 million people from 2008. Forty-three percent of working families with at least one minority parent were lowincome, nearly twice the proportion of white working families (22 percent). The disparity between the rich and poor is steadily growing. Income inequality has increased by 5 percent since 2007. The top 20 percent of households take in almost half the wealth, the report said. What’s more, the top earning families earned 10 times more than those at the bottom. A large reason for the gap is that wages have not increased even as productivity continues to rise. Wage stagnation has been one of the most common consequences of the downturn. The Economic Policy Institute pointed out in August, wages “grew at less than half the rate they were growing during the period immediately prior to the recession.” From a long-term perspective, the real average hourly earnings have practically remained unchanged for 35 years. In other words, productivity growth has not transferred to wage gains. The recession has been especially hard on men, who were more highly concentrated in the depleted manufacturing, construction and financial sectors. In addition to men, minorities and those without a college education were especially affected by the downturn. Last year, 43 percent of households with one or more minority parent were low-income, and the number of children in poverty also increased. The cycle of poverty has been partly tied to education. Those with only a high school diploma had an unemployment rate as high as 15 percent during the Great Recession. More job openings require a higher education and the steady decline of manual labor jobs have created a more competitive market. More than half of the low-income families had parents with only a high school diploma. Some 1.77 million people live in poverty in Israel, of them more than 850,000 children, according to an "alternative poverty report" published by the non-profit organization Latet. The report portrays the situation on the ground and is based on the testimonies of 520 non-governmental organizations. 75% of impoverished individuals in Israel forgo meals due to their financial situation, a 21% rise from 2009. 83% of children did not receive dental care and 22% of the poor confessed that they have had suicidal thoughts due to their economic status. 5% of impoverished children beg for money in order to survive. 8% of children are forced to steal food. About half of poor children are nourished from solely bread and spread. In regards to employment, the study shows that 30% of poor individuals who get support from NGOs are employed, while 60% are unemployed who have been out of a job for over three years, an increase of 11% in comparison to 2009. 150 soup kitchens aid 60,000 of 223,000 impoverished families - of them 530,000 children. Pupils on free school meals are 55 times less likely to go to Cambridge or Oxford than those from private schools, the Sutton Trust has said. The percentages of pupils who qualified for free lunches when they were at school - a measure of deprivation - attending each of England's universities was 0.8% at both Oxford and Cambridge. 40% of their students came from independent schools. The figures also show a significant gap between the most privileged pupils and the rest. "The prospects for less privileged students getting into top universities will get more difficult..." said Peter Lampl, Chairman of the Sutton Trust. Who are the Chinese middle class? The working class in capitalist society is made up of all those who are obliged through economic necessity to sell their mental and physical energies for a wage or salary. If this is your position then you are a member of the working class. The job you do and the status it might have, the pay you receive and how you chose to spent it, are irrelevant as long as you are dependent on working for a wage or salary in order to live. What makes a wage or salary-earner a member of the working class is not the mere receipt of a salary but being economically dependent on it for a living. What this means is that essentially we are living in a two-class society of capitalists and workers. 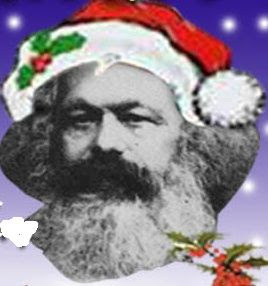 Classes are defined by the relationship of their members to the means of production, not by how rich or poor they are. The existence of a middle class is one of the greatest myths . It may be popular to talk (usually vaguely ) about various other 'classes' existing such as the 'middle class', but it doesn't add our understanding of capitalism. The figures for wealth ownership are only an indication of the class structure of society--they show that society is divided into classes but not how it is. So, classes should not be defined on the basis of them; classes are defined socially not statistically. And the working class is defined socially as those members of capitalist society who are excluded from the ownership and control of the means of production and are therefore forced to get a living by trying to find an employer to buy their labour power. Just like most workers they have to consume their incomes in order to survive at the prevailing standards of comfort of their peers. Most of those called the "middle class" fall into this category and the following article exposes the fallacy of defining what is "middle class" Whilst there are statistics, government statistics and politicians' proclamations, working class membership is easily defined. The following article exposes the different definitions in regard to China. A lot of international companies have long believed that they must have a presence in China because they consider its 1.3 billion people to be potential consumers, implying a seemingly endless stream of future revenue. The existence of a robust middle class, upon which this vision is based, is clearly growing at an accelerated pace in China, but an increasing body of research raises question about who the country's middle class really are and the true meaning of their disposable income. Recent definitions of what constitutes the middle class in China range from approximately 10 percent to nearly half of the population. In 2007, Goldman Sachs said it believed 100 million Chinese consumers should be classified as middle class, and estimated that by 2015 that figure would jump to 650 million. The Asian Development Bank (ADB) suggested earlier this year that by 2020 more than 1 billion Chinese will be classified as middle class. In a study released earlier this year, the ADB defined the middle class in China as individuals earning between $2 per day (the low end of lower middle class) and $19 per day (the high end of upper middle class) in income. The Bank notes that in 2005, 35% of the Chinese work force earned just $2-4 dollars per day, another 30% earned $4-10 per day, and less than 5% earned more than $10 per day. The Bank defines "affluent" consumers in China as those earning more than $20 per day (or $7,300 per year), consisting of 44.8 million in urban areas and 11.1 million in rural areas of the country -- approximately 4 percent of the total population. According to a 2009 report in The Economist, the commonly accepted definition of income for the poverty line in the developing world is two dollars per day, implying that individuals above that income are by definition part of the emerging world's middle class. By contrast, the poverty line in America is $13 per day, but it would be difficult to imagine telling someone who makes $14 per day in the USA that he or she is not in poverty. By the same token, a person making more than $20 per day in China under the ADB's definition will hardly feel wealthy. While defining the middle class is a relative proposition, but what seems clear is that the number of people belonging to the middle class in China, and more generally in Asia, is rising. A 2010 report by the Brookings Institution suggests that Asia's middle class is projected to increase from 28% in 2009 to 66% in 2030 -- an increase of 235% in just 20 years. The report says that China's middle class is poised to rise significantly not only because of the country's economic growth rate, but because more Chinese will continue to break out of the ranks of the poor. By 2030 the number of Chinese making more than $10 per day should increase to 74% from 11% today. In 2006 the China National Research Association (CNRA) defined six criteria for what constitutes middle class status in China, based on education, salary, profession, societal influence, savings and holidays. At that time, the income benchmark for being a member of the 'new middle class' was just RMB2,000 (approximately US$300) per month (or $3,600 per year). McKinsey notes that as of 2006, 77% of urban Chinese households lived on less than RMB25,000 ($3,676) per year -- meaning, that by the CNRA's definition, 77% of Chinese do not belong to the new middle class. A 2009 study by China's National Bureau of Statistics found that even with an 8.8% rise in disposable income that year, per capita disposable income for the average urban resident was just RMB17,175 ($2,525) and RMB5,153 ($758) for the average rural resident of the country, and that urban dwellers earn 333% more than farmers. This is important because as of 2006, 70.8% of the Chinese population engaged in some form of agricultural work according to Xinhua in 2008, and 54.3% of Chinese live in rural areas, meaning the majority of Chinese have very little disposable income. So the idea that the majority of average Chinese consumers will be owning a home or a car in the near future, appears to be mistaken. This represents the paradox of the Chinese consumer market, where according to the ADB, in 2005 the percentage of "affluent" households owning a radio, television, air conditioner, refrigerator, or car was lower in China than in the Philippines -- a country considered to be much poorer. Some American children are facing circumstances so dire that they require foreign aid to supplement services such as tutoring and reading programs and rely on a grant from the Bernard van Leer Foundation of the Netherlands -- for tutoring and reading programs , said a report by the Children's Defense Fund. The study, "Held Captive: Child Poverty in America," refers to as "the new face of poverty" . "Some [people at the foundation] wondered why it should be working in the most affluent country in the world, but they decided the reality is we have poor children in this country who are denied the opportunity to be all they can be,"
In Baton Rouge, children displaced by Hurricane Katrina 5½ years ago are still struggling, and largely forgotten, the report says. And in Long island, families are slipping from "middle" class to working poor, and the working poor to poverty because of the economy, the housing crisis, gaps in the cost of living vs. wages, and a lack of financial safety nets. "The current economic crisis continues to drag more families and their children into poverty," the Children's Defense Fund said. "This Christmas season, 15.5 million children in America, more than one in five, are living in poverty, a number of them in extreme poverty. This is the highest child poverty rate the nation has experienced since 1959." MoneyUP conducted the "August 2010 MoneyUP Field Report" and its findings showed that the nation's most financially vulnerable populations continue to struggle to meet their basic needs, including food, housing, and medical costs. 17 percent have between $101 and $500 in savings, 19 percent with less than $100, and an astonishing 40% percent report not even a dollar in savings. It isn't surprising that almost one-third pay their bills "always" or "often" late. Faced with the imminent alternative of civil war and a possible communistt-controlled uprising, the French capitalist class through its politiical representatives, acted to protect its interests in the only way left open. They acquiesced to the demands of their mutinous officers in Algeria and called upon General De Gaulle to lead them out of the political wilderness in which they find themselves. The Chamber of Deputies, its back to the wall, promptly abdicated its power, invested the General and his government with full authority for a period of six months and called for a referendum to alter the present parliamentary basis of the Fourth Republic. General De Gaulle, on the other hand, just as promptly demonstrated whose interests he means to protect by naming civilian politicians to head important cabinet posts and himself as Minister for Algeria. He wasted no time in putting his military leaders in Algeria in their proper place. "You have no more revolutions to make," he told his disappointed Committee of Public Safety, "because the revolution is already accomplished." General Massu, M. Soustelle and M. Delbecque were informed in no uncertain terms who their boss happens to be. But on the other hand, if he is not fully aware already, General De Gaulle himself will discover soon enough that the orders and dictates he is scheduled to utter will not be of his making. The needs of French capitalism must in the final analysis determine his action to the same degree as they have influenced the 25 governments of the Fourth Republic. Despite popular belief to the contrary, France's continuing troubles at home and throughout her diminishing empire are not in any way directly due to the multi-party system and lack of strong government which their present Constitution guarantees. In fact proportional representation is in many ways more democratic than a two party system and despite the continuing upset of French regimes in recent years, the successive governments were always pretty much made up of the same men. Only the positions were shuffled. The attempt to understand a nation's affair by concentrating upon its polttics rather than its economic and financial structure is usual procedure but not sound. In the case of France the Chamber of Deputies, which someone has labeled as "600 screaming anarchists" is not a cause of her woes but merely a reflection. The troubles of France stem directly from her system of society, capitalism. For one reason or another, France has steadily declined in this century as a world power. Insofar as importance in industry is concerned, she ranks far down the list, even below Sweden and SwitzerJand. Raymond Aron, a French writer, tells us in the June 1958 issue of The Atlantic that, in fact, France actually seemed "almost as backward as China and India," and that she has "an economy hovering somewhere between the Middle Ages and the twentieth century." In short, France has been, in our times, reduced to the status of a "Mama and Papa" business surrounded by super-markets. "In 1900," he tells us, "the percentage of industrial manpower, relative to the number of persons between 15 and 59 years of age (25%), was higher in France than it was in Germany, Holland and, Denmark, Norway, or Sweden. But for the next half century it falled to rise, and today the figure is lower than that of all the other countries of Western Europe with the exception of Holland." Furthermore, it seems that the percentage of man-power employed in agriculture in France is higher than in any other country of Western Europe, even higher than for Denmark and Holland, running some 32% in 1950. " ... the conclusion is undeniable," says Mr. Arons, "a century ago. .. France was still the most highly industrtalized country on the continent; today she leads Southern Europe but trails behind Northern Europe." Nor despite some tendency toward mass industry in recent years, such as automobiles and airplanes, has there been much progress in this century in the degree of industrialization. Whereas businesses employing more than twenty workers represented 4 per cent of the total in 1906, in 1950 they represented 8.5 per cent of the total. Furthermore, even in agriculture has small farming remained the order of the day with 40 per cent of French farms having a gross income of less than 300,000 franes (about $860.00). In other words, as long as a nation's position in the world was based mainly up on small scale agriculture, France was considered a wealthy nation. In this industrial era, however, France has fallen far behind in the race. She has been particularly lacking in such vital minerals as coal which England and Germany had in plentiful supply, As a result, despite her utter defeat in two world wars, Western Germany today stands far ahead of France as an industrial nation. One of the reasons given for the decline or France as a power has been the decline in its rate of birth. It seems that in the period since World War I the French population increased much less than that of her rival nations. Whether or not this factor had as much to do with the lack of investment in their own country by French capitalists as some would have it, it is still a fact that there has been a proportionately much higher rate of investment of surplus capital by French businessmen in foreign countries. Like capitalists everywhere, patriotism is considered to be all very well and indeed necessary for the working class, but business is business. Since the end of World War Il France has declined steadily and rapidly and has lost large pieces of her empire. Her influence in Syria and the Near East in general is gone. Her rich Indo-China colony is gone. Tunisia and Morocco have slipped from her grasp and for several years now the Algerian nationalists have been trying to emulate their Arab neighbors. The ensuing Aigerian War, which still continues despite De Gaulle's visit and offers of equality to the 9 million Moslems of that land, has been unsurpassed in our times for down right brutality, certainly as much on the part of the civilized French as the "barbarous" Arabs. A book by Henri Alleg, reviewed in the N. Y. Sunday Times for June 7, 1958 reveals the systematic torture employed by the French arrny, notably by the paratroops of Brig. Gen. Massu, to get conressions. The author, a French editor of a Communist Algerian daily newspaper was himself a victim of Massu's torture by electricity, by drowning (water forced into his mouth from a tap), torture by fire, thirst, etc." The Algerian situation has been a hot potato which the French capitalist class has been somehow attempting to hold onto. It has been a cause of the downfall of several of the recent French governments. That General De Gaulle has been finally called upon to salvage this last important outpost of the French empire is but an indication of how far the capitalists will go to save themselves from economic ruin. They are willing even to give up much of their own political rights, to place power in the person of an individual they dislike so long as it enables them to retain control of the money-bags. In his Eighteenth Brumaire of Louis Bonaparte, Karl Marx analyzed the rise to power of Napoleon III in much this way. No more than in December 1851 was the Republic "taken by surprise." Despite the coup of the army officers in Algeria and the ostensible forcing of De Gaulle up on an unwilling ruling class; despite the threat of civil war and a possible Communist overthrowal of the government; despite these things the interests of French national capital are best served at this particular time by installing De Gaulle as a sort of strong man and every evidence pomts to the fact that Gen. De Gaulle will do all in his power to protect these interests. Not that he will find this task any easier or be any more successful than his predecessors. The handwriting in Algeria is still on the wall for the French capttaltsts. While we deplore any loss of freedom by the working class, even the limited type of freedom enjoyed in the Fourth Republic, the basic position in society of the French working class will not be different from what it has been. Whether ruled by kings, emperors, dictators, president or a Chamber of Deputies, they will continue to be exploited; will continue to live in poverty and insecurrty; wiIl be maimed and murdered in wars and suffer degredation generally in peacetime. Only the outright abolition of capitalism and the institution of a class-less society - socialism - is the answer. A recent Guardian editorial reads "The labour movement will not be able to defend and renew what it cherishes if it follows Mr McCluskey up the blind alley of deficit denial, indiscriminate opposition to all cuts, and a programme of strikes which large parts of the country will see as an attack on rather than a defence of the public realm. The labour movement is now in a minority. A large majority of the public are not in unions and do not vote Labour." The government and their friends in the press such as the Guardian have set up convoluted arguments designed to frighten people into turning against “militants” and “troublemakers” in the trade unions - “the enemy within”. Whichever government is in power their tendency is to resist attempts by the organised working class to increase/defend wages or to improve/protect conditions. No matter what they may say, governments are there primarily to defend the interests of the owners and controllers of wealth in society. When governments talk about safeguarding the economy, they are really talking about safeguarding the people who own the economy. There is a direct conflict of interest between employers and the employed. The greater the share of the social product going to employees in the form of wages, the less there is to share between the members of the master class. Thus, the capitalist have an immediate and direct interest to keep the industrial peace by having a passive subdued labour force.These two classes are necessarily in antagonism to one another. The possessing class, can only live as a class on the unpaid labour of the producers – the more unpaid labour they can wring out of them, the richer they will be; therefore the producing class – the workers – are driven to strive to better themselves at the expense of the possessing class, and the conflict between the two is ceaseless. Sometimes it takes the form of open rebellion, sometimes of strikes, sometimes of mere widespread mendicancy and crime; but it is always going on in one form or other, though it may not always be obvious to a looker-on. This applies across the whole production process, whether specific employees are employed directly to produce commodities or to provide services. The public sector employees at the heart of most of the current disputes do not produce an immediate profit; their wages are paid out of the taxes levied on the sum of profits of a specific national capitalism. That is, the extended wages pool comes out of the sum of profits made by the system as a whole, rather than that of a specific branch of the capitalist system. It must be understood that the price of the commodity labour-power, or what is commonly known as wages, together with hours of working and all the many other questions connected with the workers' employment, are not a matter which is settled by chance or the automatic working out of some indefinable economic law, but is one which is largely to be accounted for by the degree of resistance made by the workers.When unemployment is high, there is more labour available across the system, and thus employers are able to find workers willing to take lower wages to escape the poverty of unemployment, under-cutting their fellows. The greater they combine on the economic field the more the workers present the capitalist with a situation which the latter cannot afford to ignore. The Socialist Party recognise the necessity of workers' solidarity in the class struggle against the capitalist class, and rejoice in every victory for the workers to assert their economic power. Both raising and defending of workers' wages affects the amount of time and resources at the disposal of workers for control of their own lives. Socialists, as class-conscious workers ourselves, are on the side of our fellow workers involved in industrial disputes with employers. Any strike to improve conditions or stop them getting worse, official or unofficial, legal or illegal, is all right as long as it is democratically decided and run by those involved. Sociologists studying unions have frequently commented upon how it is the type of industry that can determine the level of union organisation: the turnover in workers, the relations between workers in the workplace, the importance of an identifiable group of workers within the labour process. They work in industries which involve mass co-operative human labour (relations in the workplace), which are technical enough to prevent them being easily casualised (turnover of staff), and which are social monopolies (key industries) which work stoppages are able to immediately shut down (being services, rather than commodity producing industries). Such factors put workers in a stronger bargaining position, which has itself caused the assaults on working conditions. There is no reason to shy away from supporting other workers struggling to improve their conditions and pay or in some cases, just struggling to make sure things don't get worse.The workers must engage in confrontations and conflicts with their masters. Success through striking may well encourage other workers to stand up for their rights in the workplace more. A group of workers' strength, however, will continue to be determined by their position within the capitalist economy, and their victory a partial one within the market system. Only by looking to the political situation, the reality of class ownership and power within capitalism, and organising to make themselves a party to the political battle in the name of common ownership for their mutual needs, will a general gain come to workers, and an end wrought to the need for these sectional battles. Otherwise, the ultimate result of the strikes will be the need to strike again in the future. Strikes may result in changes and even so-called improvements but this is but superficial. Keep running in order to stay in the same place. Working conditions bitterly fought for and won through struggle on the industrial battlefield over the years can be wiped out, comparatively speaking, in a few minutes by those who control the political machinery. The political weapon is the dominant one and whilst it remains in the hands of the capitalist class no amount of struggle will free the workers from the yoke of capital.Industrial action, though necessary from time to time, is essentially only defensive and has severe limitations due to the subordinate position of workers under capitalism. The ruling class must still be asking itself just how much austerity the working class will be prepared to take. The working class has already lost many of the reforms introduced as part of the social democratic consensus after the Second World War – traded for a mortgage and a credit card. Now these too are in danger of being snatched away. The capitalist class and its governments seek to restore profitability without provoking working class unrest. It seems unlikely that the working class and its organisations are strong enough to stop these austerity measures being imposed, let alone imposing their own demands. No strike can stop a government determined to have its way. But we must start from where we are. David Cameron will be expecting that you’ll just take whatever’s coming to you. We must try to prove them wrong. The International Committee of the Red Cross declared on Wednesday that conditions in the country - with respect to their ability to do their work - are now the worst in 30 years, since the organisation first arrived there. "Access for the ICRC has over the last 30 years never been as poor." Many areas of Afghanistan, particularly in the north, were now inaccessible not only for the ICRC but for the hundreds of other aid groups. "The proliferation of armed groups threatens the ability of humanitarian organisations to access those in need." The Red Cross said that growing civilian casualties, internal displacement and poor medical care have created a dire humanitarian situation and are likely to persist into next year. "The sheer fact the ICRC has organised a press conference ... is an expression of us being extremely concerned of yet another year of fighting with dramatic consequences for an ever-growing number of people in by now almost the entire country." Another seemingly timeless article from our late comrade Isaac Rab. This was published in The Socialist, 1929 (the second issue of that journal). What practical program do you fellows propose? What are your demands? Such comments have been made concerning our first issue. A perusal of the contents of that number ought to have cleared away this confusion regarding our position. The similarity of the concluding statements of many of the articles is striking: “Whenever a majority of the workers understand and decide to do it — to establish Socialism.” “The moral is obvious. Up with socialist education.” “Our immediate task is to arouse a Socialist understanding, to the end that we … may … establish Socialism.” In a word, a Socialist revolution first must take place in the heads of the workers; then will follow the conquest of political power, overthrow of the capitalist system and the establishment of Socialism. Certain characteristics distinguish the Socialist Revolution from all previous revolutions. For the first time has a social revolution become possible and necessary in the interests of the great bulk of the population, the working class. The revolution can not be rammed down the throats of the workers against their understanding or desire. A Socialist working class, conscious of its position in society, has no need for special program or blueprint plans. Whatever measures are dictated by the particular social forces then operating will be adopted by a Socialist proletariat. The socialization of production, together with the concentration of capital, has already laid the economic foundation for Socialism. Political ignorance, rather than the lack of schematic policies, is our major difficulty. “The best laid schemes o’ mice and men Gang aft a-gley.” Historic circumstances tear up plans and programs like so many scraps of paper. Our “practical program,” if you please, is clear and definite. 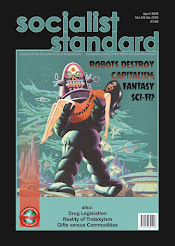 It is predicated upon the scientific analysis of capitalist society. Let our Declaration of Principles shout it out from the housetops: — “The working class must organize consciously and politically for the conquest of the powers of government.” In order that we may the more readily see the limitations of practical programs, let us briefly review such measures as are advocated by the alleged Socialist organizations. 1. The so-called Socialist Party of America is not a Socialist organization. Even the cloak of Socialist appearances was shed at their last convention, when the clause subscribing to belief in the class struggle was dropped from their application for membership form. Their capitalistic character was brazenly flaunted during the mayoralty campaign just ended in New York City … We found Norman Thomas urging (comrade) La Guardia, Republican, to quit in his favor because of their “unity of purpose.” (New Leader, Nov. 19, 1929.) Need more be said? Thus we see the pitiable consequences of thirty years of the “practical” policies of that most practical Socialist Party of America. 2. Not to lag behind their foster-mother, the Workers (Communist) Party exceeded the S. P. of A.’s most fantastic antics by proposing 102 demands in the last presidential campaign. So involved was their practical program that it required 64 pages, “The Platform of the Class Struggle,” to state these demands. A little comment on but a few of these “revolutionary” gems will serve as an object lesson in the pitfalls of a “practical program.” Of course, one must bear in mind that every Tuesday and Friday calls for a new line of action by the Communist Party. It gets one dizzy trying to keep pace with their constant appearance of seeming to shift positions. (a) On page 21 we find demanded the “immediate enactment of a Federal law … for a … forty hour, five day week … and forbidding all overtime.” As the industrial process increases the productivity of the workers, the masters see to it that the working time is reduced. It requires not the demands of the C.P., but the needs of capitalism for the inauguration of shorter hours with, incidentally, fewer workers. This is a measure that helps capitalism run more smoothly, and is a favorite palliative of capitalist reformers. Observe Ford and Hoover. (b) On page 24, we must “struggle against the speed up system.” Just as reactionary was the resistance of the cotton workers in England to the introduction of machinery, and their smashing of the machines. (c) It is further demanded, on page 40, that an independent, federated Labor Party, composed of trade unions and labor organizations, be formed. This measure does not support the working class. A political party is an expression of class interests. The varying programs of the different units composing this proposed federation are inimical to Socialism. There can be no unity of policy based upon such a hodgepodge. Unity can only be based on a common understanding of the need for Socialism. A revolutionary scientific, working-class party is hostile to all parties which serve to deceive and side-track the workers. (d) Another pearl of wisdom appears on page 45. Here is demanded the abolition of all indirect taxes. The Communist Party does not tire of demanding. Unless you have power to enforce them, demands are meaningless verbiage. Inasmuch as the working class does not pay taxes, whose battle is the Communist Party fighting, anyhow? Their program is not based upon working-class interests, but, like that of their foster-mother, of disreputable memory, suits the needs of the petty, cockroach capitalist. (e) On page 48 is demanded a 5 year moratorium on farm mortgage debts, including debts on chattels (and farm hands, too, I suppose). The working class, of course, is “burdened” with mortgages! But why continue with these demands ad nauseam, such as “propaganda against alcoholism,” “fixing of low rents” (presumably so that wages may be reduced). Remember, there are 102 demands by these practical people. If all this activity resulted in the arousing of revolutionary understanding there might be some justification, but sorry experience has shown that it only results in apathy because of the false hopes raised, then dashed. 3. We are now confronted with Cinderella, the neglected twin sister of the Communist Party, i.e., the Proletarian Party, “more communist than the Communists,” which has discovered that the Soviet is the transitional form of the proletarian state! (The Proletarian, p. 10, Jan. 1926) A Soviet is merely a council. Applicable to the historic circumstances of developing Russian capitalism though it may be, no evidence is forthcoming that, in highly developed countries like England, U.S. and Germany, such special machinery will be needed to accomplish the proletarian revolution. The Proletarian Party, too, has a “practical” program. They “call for the unfaltering support of the class-conscious workers everywhere” to “the movement of Anti-Imperialism among the backward nations,” because they “fight … the Imperial Capitalist Class.” A travesty on Marxism, indeed. The class conscious workers, everywhere, have nothing in common with the nationalistic struggles of backward nations. What lies behind the developing national consciousness of China, India, Nicaragua, Arabia? — the economic interests of different sections of the bourgeoisie. Countries like China, India and the rest, are blossoming out into capitalist countries on their own hook. No longer are they merely sources of raw materials and markets for the disposal of commodities. The newly rising bourgeoisie in such backward countries find the ideologic expression of their economic and political needs in movements of nationalism. They are anti-imperialist only whilst being choked by the capitalist imperialism of England, the U.S., and the rest of the great powers. They aim at monopolizing for themselves the natural resources and the opportunities for profit by exploiting the workers of their respective countries. A pity it is that such befuddlers should seek to enlighten the workers on Socialism. 4. Finally, we have the Socialist Labor Party. 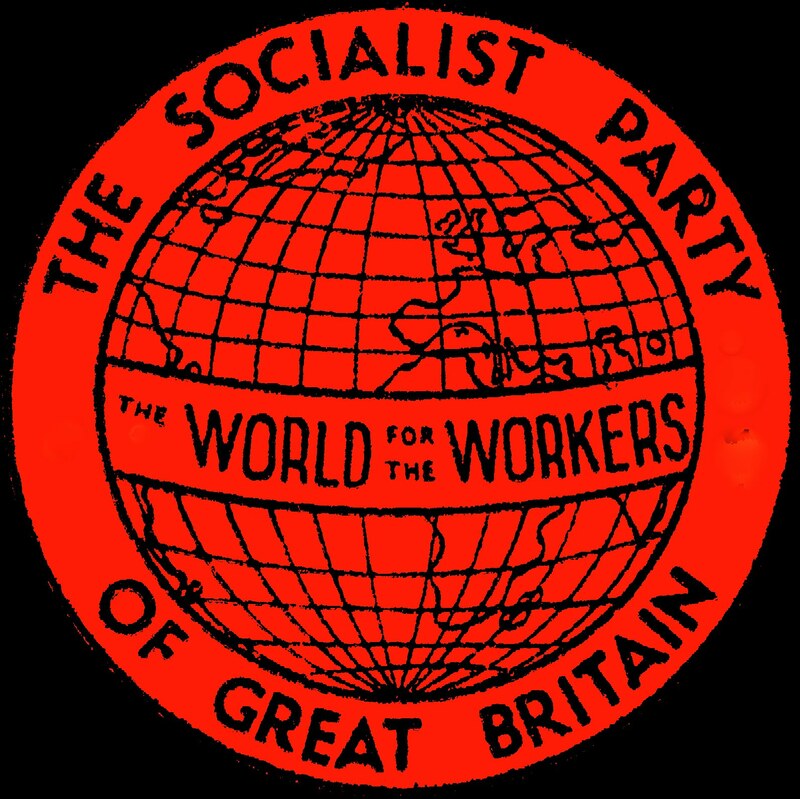 In their letter, “The Socialist Labor Party and War,” addressed to the parties affiliated with the “Socialist International Bureau,” is stated officially their practical program: — “Not a ‘general strike’ of the workers but a ‘general lockout’ of the Capitalist Class is our slogan. And this can only be done by organizing the workers, industrially, to take and hold the means of production.” Of course, “only” eliminates any other means. On page 10, of the SLP Manifesto of 1921 is stated flatly: — “the might of the Working Class lies on the economic field and there alone” (emphasis theirs). The lip service the SLP have always paid to what they term the “political arm of labor” is seen here in its true colors. A study of history will show that control of economic resources is only made secure by control of the State. For example, with all their economic influence the rising capitalist class in France and England were economically and politically shackled by feudalism and the absolute monarchy. It was necessary for them to achieve political supremacy in order to make secure and extend their economic power, as the French bourgeoisie did in the French Revolution. It is impossible for the working class to take and hold industry as long as the state is in the hands of the capitalist class. All the industrial unions in the world are powerless in face of the armed forces of the modern states with their machine guns, bombing planes and poison gas. Moreover, this power is placed in the hands of the capitalist class by the workers themselves. To expect these workers to do two diametrically opposite things simultaneously, is going it a bit too strong. On the economic side the working class is weak. They are propertyless. They own nothing but their ability to work, which they must sell to the capitalist class in order to live. The objectives of a union are confined to questions of hours, wages and conditions, problems within the four walls of capitalism. A union, regardless of type, to be effective today must depend primarily on numbers rather than understanding. Ever changing productive methods as well as the continuous introduction of new industries, make unions powerless to cope with even their immediate problems. Their view that the industrial union is the only means of taking and holding industry, is but the pipe dream of the SLP.